It’s good to know how to make a proper gin and tonic recipe. With all the fancy and funky mixed drinks out there, don’t forget to learn the classics. 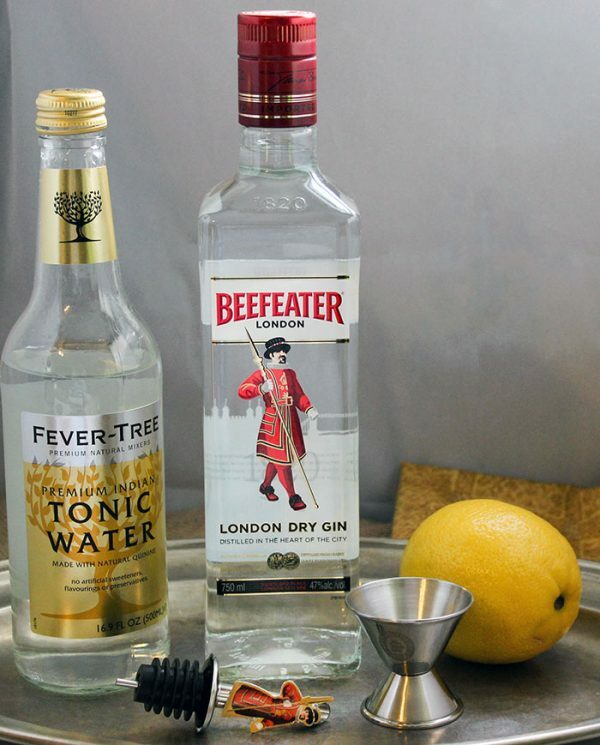 With the help of Beefeater, I now know how to make the best gin and tonic recipe. I received this product for free from Smiley360 in exchange for my honest review. You can join Smiley360 here! This recipe is intended for adults 21 and over who know how to drink responsibly. Slightly modified from the Beefeater recipe section. Add gin using a jigger. Fill half the glass with tonic. Add as much ice as you can fit into the glass. If you use tonic water ice cubes they melt extra fast, so make sure your tonic water is also quite chilled. Using tonic water ice cubes tastes better as it melts, though. Slice a fine wheel of lemon or orange to use as a garnish. The fruit brings out the citrus undertones in the gin. Stir in a bit more tonic if needed. For a drink like this, you need your gin to be the best quality. This is not a mixed drink where the alcohol taste is covered up by a bunch of other mix-ins. Quality gin is a must. 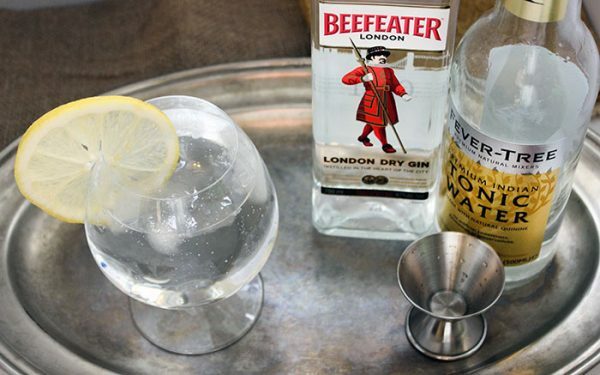 Use Beefeater Dry Gin for the very best flavor. 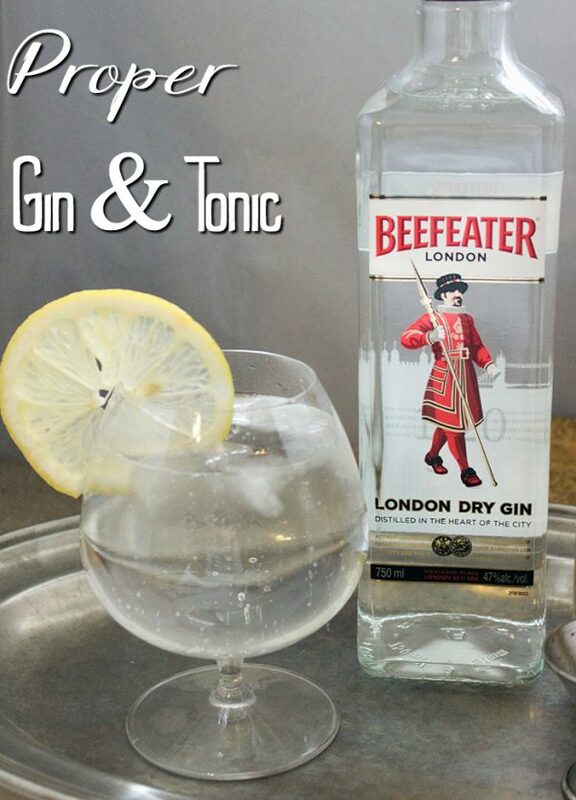 Learn more about Beefeater Gin. Stay social with Beefeater to keep up on the latest specials, recipes, and more. Like Beefeater on Facebook, and follow on Twitter. Easy enough, right? Now you can make a proper gin and tonic for yourself or guests who might happen to request one at a gathering. Visit here for more cocktail recipes that will impress your guests. Have you ever tried a proper gin and tonic recipe? I love it! You wouldn’t believe how many utterly terrible Gin and Tonics I’ve had – and made! Thanks for sharing this. 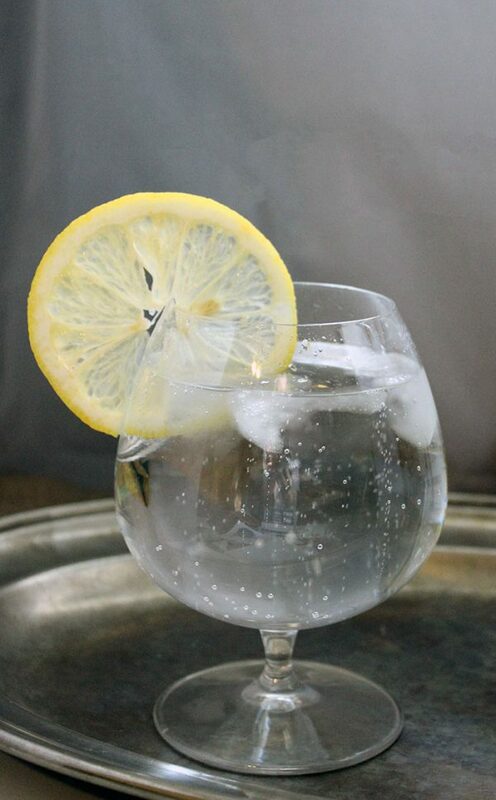 Thanks so much for sharing how to make a really GOOD gin and tonic. A good gin and tonic is great. A bad gin and tonic is abysmal. This looks really good! I usually drink whiskey and the occasional vodka so I’ll have to try this. Thanks for the recipe! There’s nothing like a really good gin and tonic. 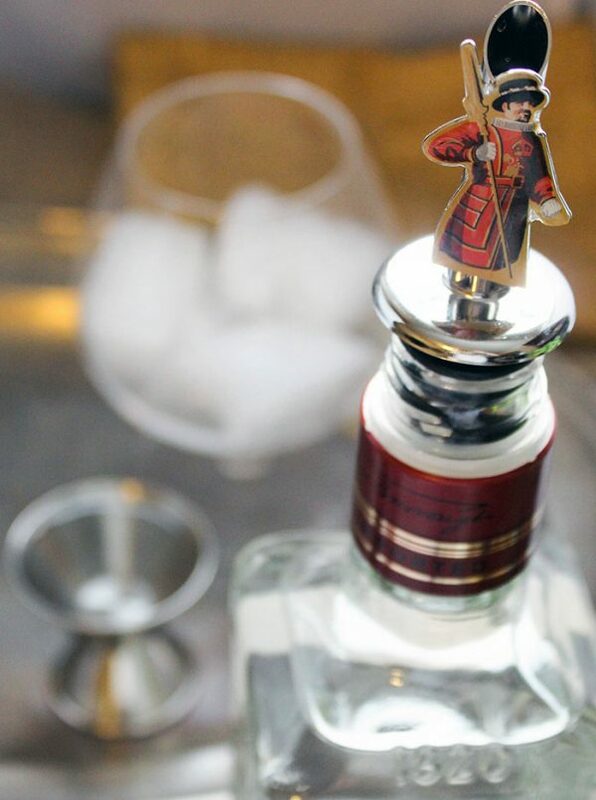 Beefeater is such a classic brand – I remember my parents buying it. Love your idea of freezing tonic into ice cubes! How cute is that character on top of the bottle. It definitely adds a unique character to the bottle! 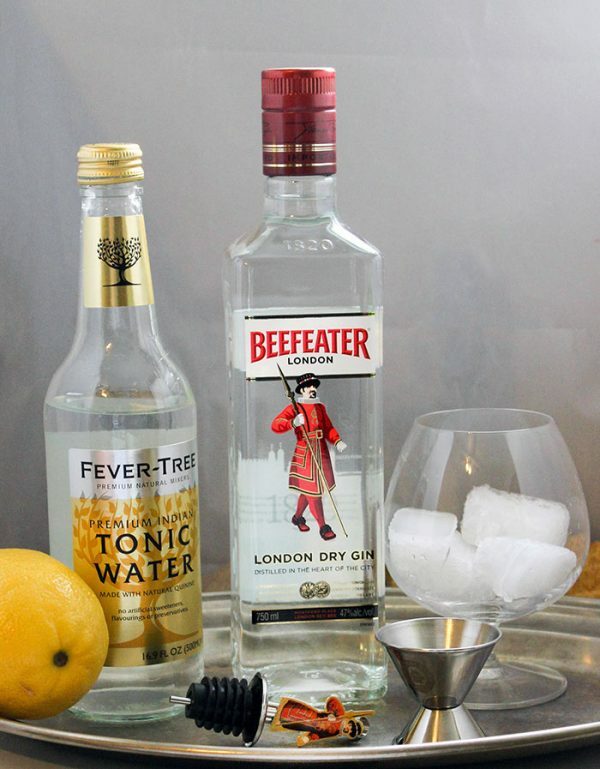 A good Gin and Tonic is basically the best part of my day… also ONLY Beefeater! It seriously does have the best flavour. I don’t do lemon with my gin and tonic though, instead I pop in a tsp of maraschino juice and one cherry. Such a classic drink! I’m pinning it now. Great post! Thank you for sharing with us at #HomeMattersParty . We would love to have you again next week.